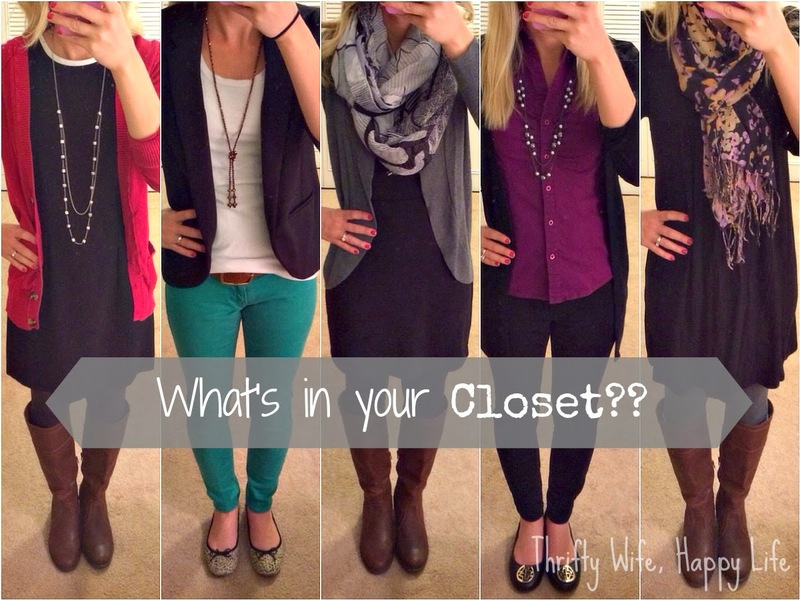 Thrifty Wife, Happy Life: What's in your Closet? Last weekend I said the phrase that all women say from time to time, "I have nothing to wear". At that moment I had a strong urge to go shopping. Instead of a shopping trip, I decided to give my closet a second chance. I thought that I would set a challenge for myself. 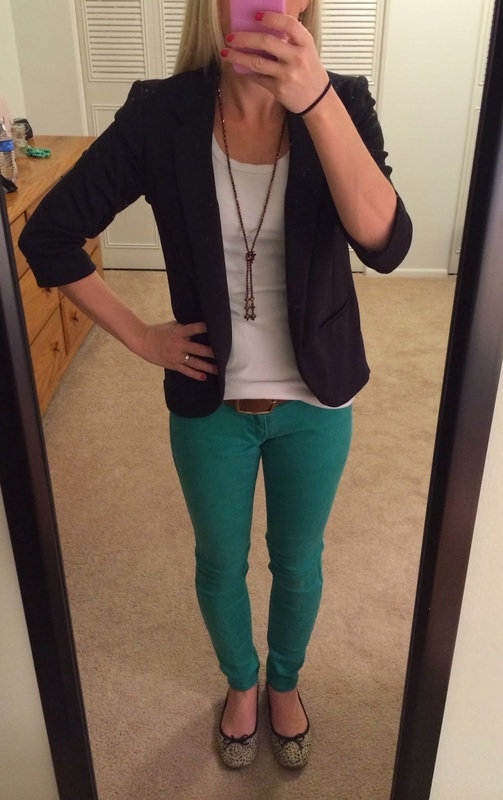 In order to appreciate the clothes that I already own, I decided that this past week, I would put together a new outfit, with old clothes, everyday and wear it to work. That's just what I did. I've had this black dress hanging in my closet for a long time, but this was the first day I actually wore it. This look is straight from my Pinterest style board. 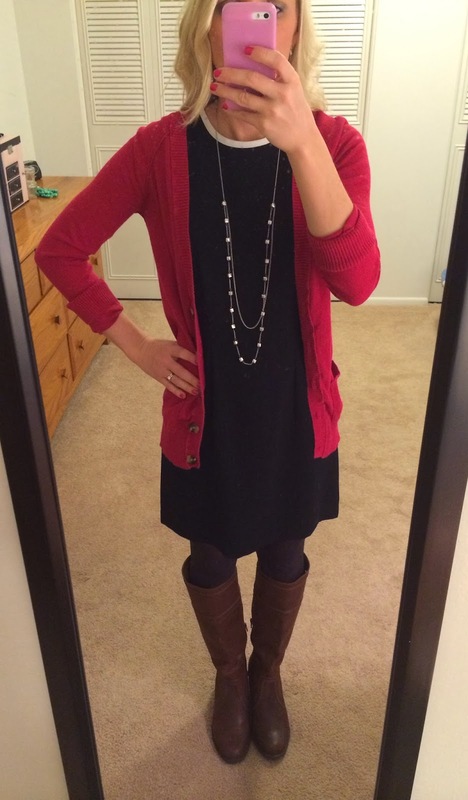 I pinned it a long time ago, but this week was the first time I wore this all together. It's winter, it's cold, so layering is your best bet in this kind of weather. 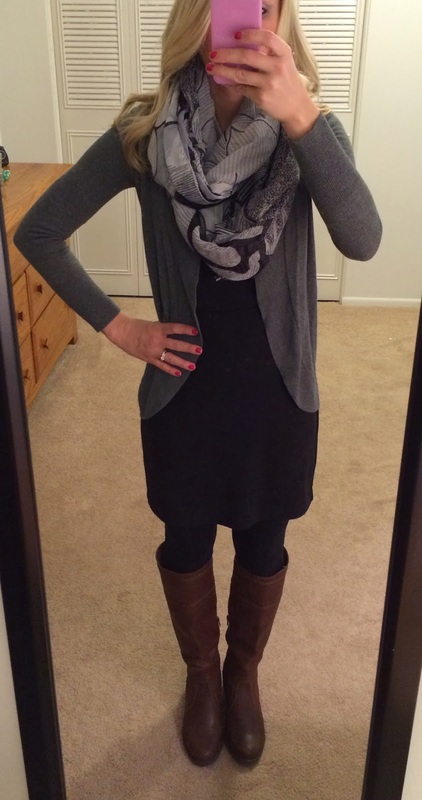 I love sweaters, scarves and boots right now. I never wear button downs, but I might start, because I really liked this look together. I bought this shirt a long time ago for my internship in college, this is the first time I've worn it since then. On Friday, I just wanted to be comfortable. 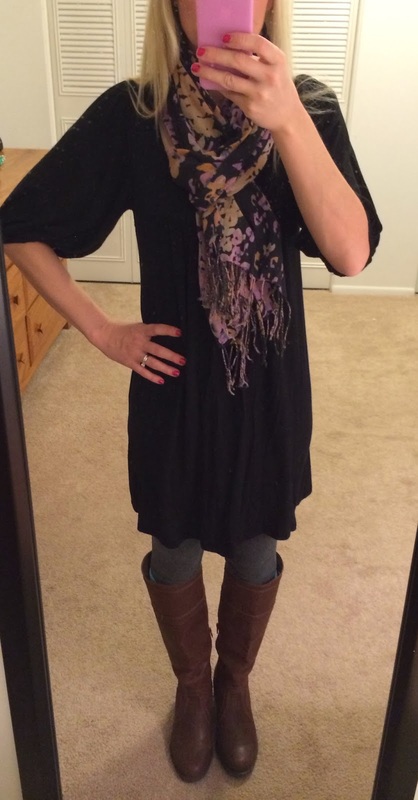 I wore this loose fitting black dress with leggings. At the end of the week, I found out that I had a lot more in my closet than I thought I did. This week was extremely long for me. I have to say that wearing a cute outfit everyday really helped me get through my week. It gave me confidence, even when things weren't going my way. Whenever you find yourself saying " I have nothing to wear", take a closer look into your closet and see what kinds of looks you can put together. I love this!! Super cute outfits! !